We further believe that published materials (e.g. coursebooks) have much to offer the working teacher in terms of their wealth of ideas for contexts, themes, texts, task types and stimulus for focused conversation. However, to counterweight this, we believe that published materials present challenges in use which the untrained or beginning teacher is not in the best position to manage. For example, the effective implementation of published learning material requires that the teacher be able to uncover for themselves the underlying design principles in the material, to make conscious decisions as to whether they are willing or able to work with their students along those lines, to find ways of adapting what is given in such a way that still retains its basic functionality and fitness for purpose. In short: working with published materials requires a beginning teacher to make sense not only of their own emerging ideas regarding teaching, but also those of someone else. Therefore, while we value published materials as a powerful resource for competent teachers and while we value ability to use them effectively and creatively as a desired end-state for a teacher by the end of initial training, we do not believe that they should define the training process itself. For these reasons, we reject coursebooks as the fundamental basis of planning for teaching practice. We consider it simpler to start with the beginning teacher’s own lived experience or ideas, and help them to learn how to develop those for the purpose of designing lessons. In working through these immediate ideas and uncovering both general principles as well as their own tacit beliefs about teaching and learning, they move into a better position from which to make sense and good use of published materials when they feel ready and inclined to do so. 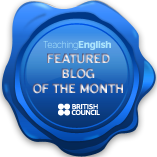 In our next post we will outline our attitude towards lesson planning.